We are well into the new year, and it is a great time to take stock of your home pantry. This is the second in a Pantry Basics series of fundamental ingredients I keep stocked at home. Similar to looking at the Summer and Winter Bars on the Cheap, this will look at a lot of things that ought to be in your kitchen if you are trying to do more cooking this year. Pantry Basics 101 is here. Some of this is obvious, but I want to at least go through my reasons for keeping them around. A little bacon goes a long way. 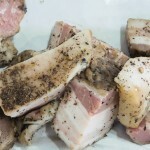 The rendered fat from the cured and smoked bacon can add flavor and depth to a lot of dishes while you don’t really need to use a huge amount. I like to get ends & pieces from my friendly local butcher shop, Hillcrest Artisan Meats. This is one of the areas where I will splurge a little but I am only buying about half a pound, or 8oz, at a time. 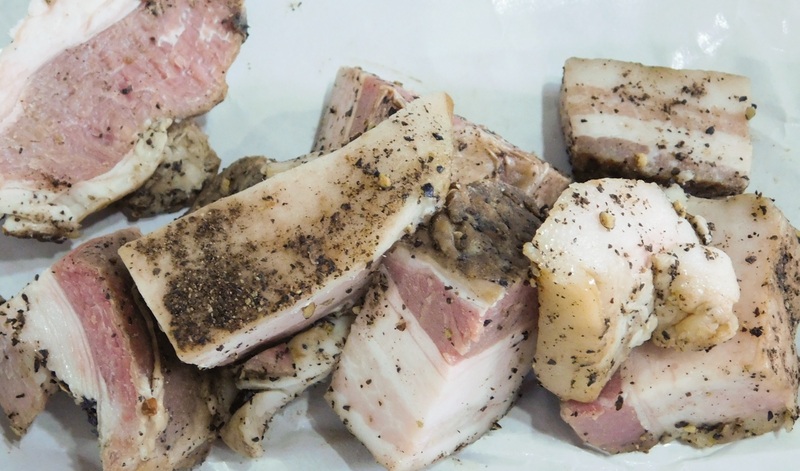 You can certainly use other cured or preserved pork products for similar effect, like guanciale, smoked pork jowls, or pancetta, but some good thick cut bacon should be something anybody can find. 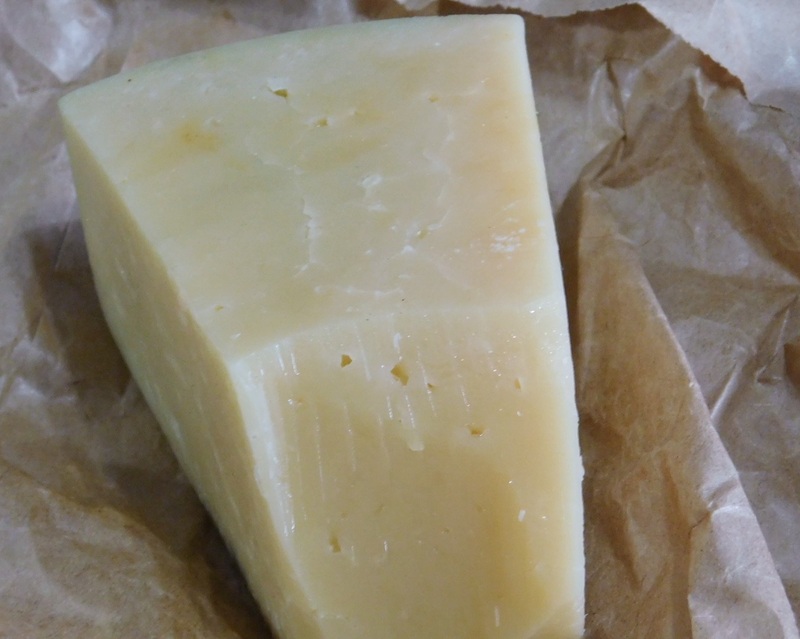 I always have a hunk or hard Italian cheese in the fridge. 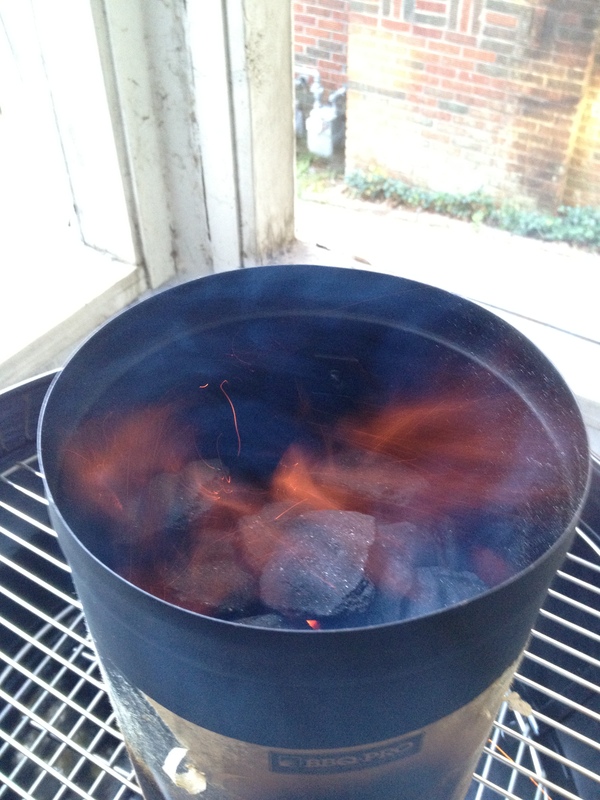 I use it on a regular basis, pay a little more than the pregrated stuff, but it adds more flavor than you can imagine. Like the bacon, here is where a few extra dollars on the front will save you in the long run as a quarter cup of the good cheese will outperform half a cup or more of the cheaper stuff. 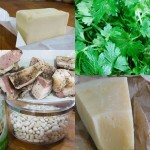 A quick grating of parmagiana or pecorino romano will add a saltiness to your dish and some great earthy umami flavors. 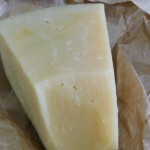 It also means that I can put together a quick cacio e pepe for dinner when I use that butter listed below. I say keep a little bit of legumes around at all times and feel free to keep a can or two in addition to your dried beans. 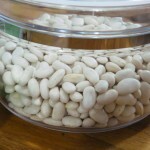 Dried beans are going to generally be better, but realistically, some nights or lunches you won’t have started soaking them early enough or have the time to try to fake the soak with a pressure cooker (if you have one). While I keep several different kinds of beans around, I am going to sing the praises of Northern White Beans, or cannelloni beans, here as one of the more versatile legumes available. They are tasty enough to be add a little bit of flavor to your dishes without it actually overpowering or becoming too bean centric. 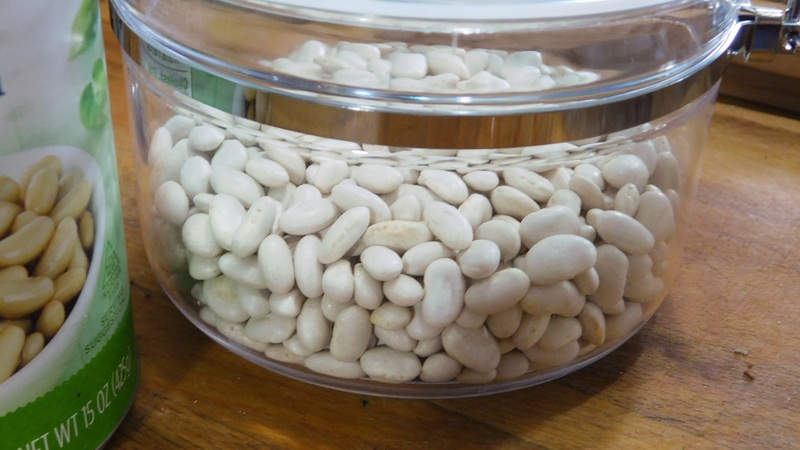 Aside from using them in my perennial favorite, Cassoulet, these are beans with a mild flavor that are equally at home in a soup or as part of a salad. Yes, Pantry Basics 101 included olive oil, but I think you should probably have a little butter around as well. 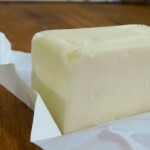 I don’t use butter early as often as I use olive oil so I keep a smaller amount around. I always buy unsalted butter for cooking because I want to control the sodium content myself. A lot of times I like to make a quick sauce to top an entree and use the French cooking technique, mounting the sauce, by adding a pat of butter to finish it. 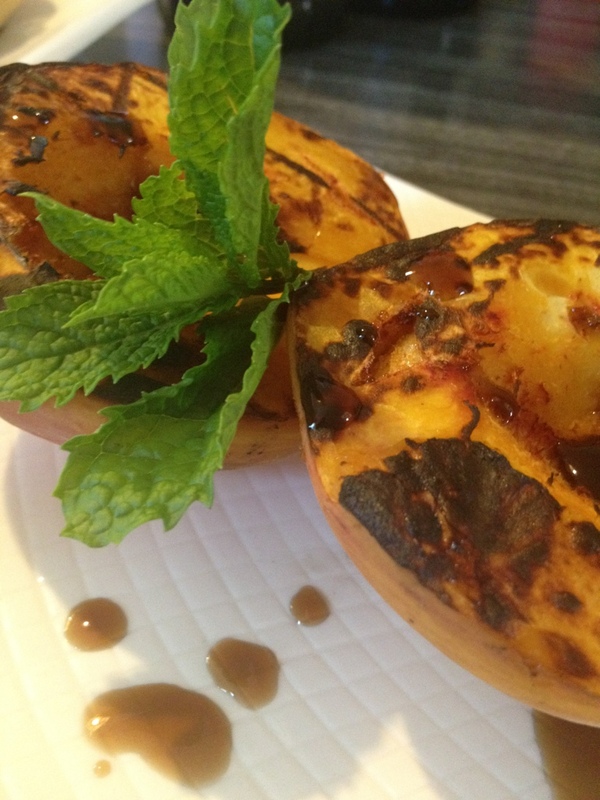 This creates a velvet like texture and richness without needing to cook the entire dish in butter. Butter also goes a long way to helping glaze vegetables, like the parsnips and carrots in our French week last year. 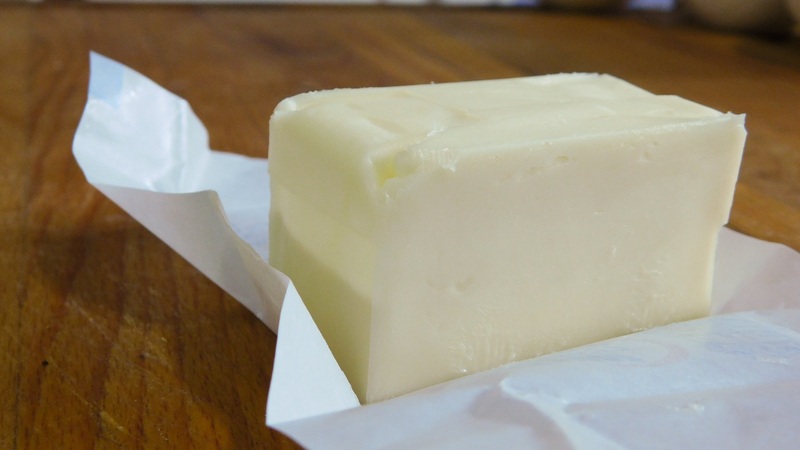 You can even splurge for the twice as expensive European style butter that has a higher fat content, a higher smoke point, and frankly better flavor. 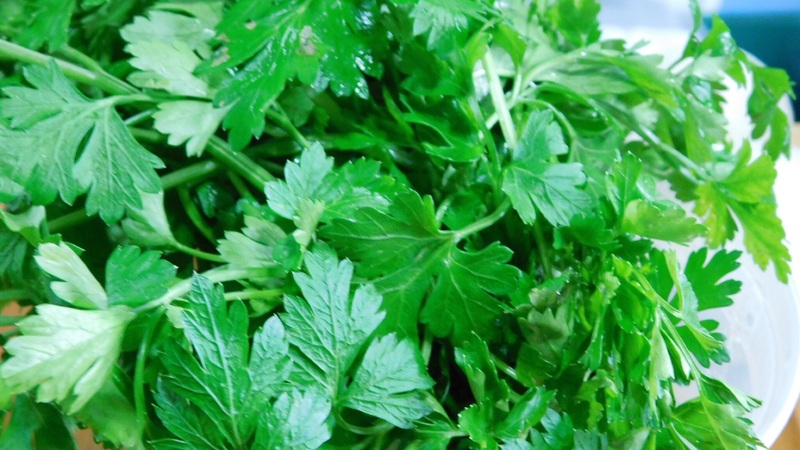 I love parsley. First, I use it all the time to garnish dishes and add that little bit of green to the picture. 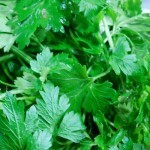 Second, the parsley itself has a very nice mild and woodsy flavor when you cook it in with other vegetables. Third, I love to make Italian salsa verdes or chimichurris. It is a dollar for a bunch at the store, and if you store it with the stems in water and lightly covered in the fridge, it will last you for several weeks. What else do you keep in your pantry at all times?